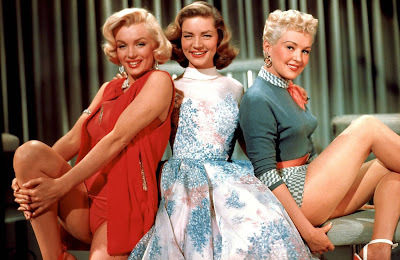 TCM is airing How to Marry a Millionaire (1953), starring Marilyn Monroe, Lauren Bacall, and Betty Grable, during its 31 Days of Oscar film festival. TCM is continuing its annual 31 Days of Oscar film festival this week. This year's festival will present Academy Award winning and nominated films in alphabetical order. This week's entries range from C to I starting with The Constant Nymph (1943) at 6:45 a.m. Monday morning and ending with Ice Station Zebra (1968) at 5:45 a.m. the following Sunday night/Monday morning. So, without further ado, let's jump right in to this week's offerings. Just a note: All times are Eastern Standard Time and the highlighted texts have links to full length articles. George Kennedy with his Oscar for Cool Hand Luke (1968). Three daytime picks: The C movies continue with George Kennedy's Oscar-winning turn as a tough-but-tender chain gang member in the prison drama Cool Hand Luke (1968) at 8:45 a.m. followed by Mary Pickford's Oscar winning performance in the early sound film, Coquette (1929) at 11 a.m. The noir Crossfire (1947) at 4:30 p.m. earned Robert Ryan a best supporting actor nomination for his vicious portrayal of an antisemitic Marine. Prime time lineup: Meryl Streep earned one of her 20 Oscar nominations for playing Australian mother Lindy Chamberlain, whose baby was dragged off by wild dogs in A Cry in the Dark (1988) at 8 p.m. Start out the D's with Jack Lemmon and Lee Remick's nominated performances as an alcoholic couple in Days of Wine and Roses (1962) at 10:15 p.m.
Late night pick: Check out another nominated Streep performance in The Deer Hunter (1978) at 12:30 a.m.
Fredric March in the transformation scene in Dr. Jekyll and Mr. Hyde (1931). Three daytime picks: The D's continue with Cary Grant and John Garfield on a top-secret submarine mission in the best original story nominee Destination Tokyo (1943) at 7:45 a.m., followed by Norma Shearer's Oscar winning performance as a modern woman looking for love in the pre-code soaper, The Divorcee (1930) at 1 p.m. Finally, Fredric March nabbed a golden statuette for playing a Victorian doctor turned monster in Dr. Jekyll and Mr. Hyde (1931) at 6 p.m.
Prime time lineup: Jennifer Hudson went from American Idol to an Academy Award in the backstage musical Dreamgirls (2006) at 8 p.m. while best original song winner, Fame (1980) at 10:30 p.m., chronicles the lives of students at a New York City performing arts high school. Late night pick: Julie Christie gives a wonderful performance as a farm owner who is pursued by three men (Terence Stamp, Peter Finch, Alan Bates) in best score nominee Far from the Madding Crowd (1967) at 3:30 a.m.
Three daytime picks: The F's continue with Spencer Tracy's Oscar-nominated performance as a put-upon dad who is trying to get through his daughter's lavish wedding in Father of the Bride (1950) at 6:30 a.m. followed by Gene Kelly's film debut in best score nominee For Me and My Gal (1942) at 2 p.m. Finally, take a journey into outer space with the best visual effects nominee Forbidden Planet (1956) at 4 p.m.
Prime time lineup: The prime time lineup begins with director Alfred Hitchcock's other best picture nominee of 1940 (Rebecca won the Oscar that year) Foreign Correspondent at 8 p.m. followed by 1933 best picture nominee 42nd Street at 10:15 p.m.
Late Night Pick: Best supporting actor nominee Anthony Perkins first gained notice as the rebellious son of a Quaker family in Friendly Persuasion (1956) at 2 a.m.
Olivia de Havilland as Melanie Hamilton Wilkes in Gone with the Wind (1939). Three daytime picks: Start off your day with Ingrid Bergman's Oscar winning performance in Gaslight (1944) 7:45 a.m. followed by Jack Benny and Ann Sheridan comically fixing up a dilapidated country house in best art direction nominee George Washington Slept Here (1942) at 2:45 p.m. George Stevens took home the best director Oscar for Giant (1956) at 4:30 p.m.
Primetime lineup: The prime time lineup features two Oscar-nominated musicals. 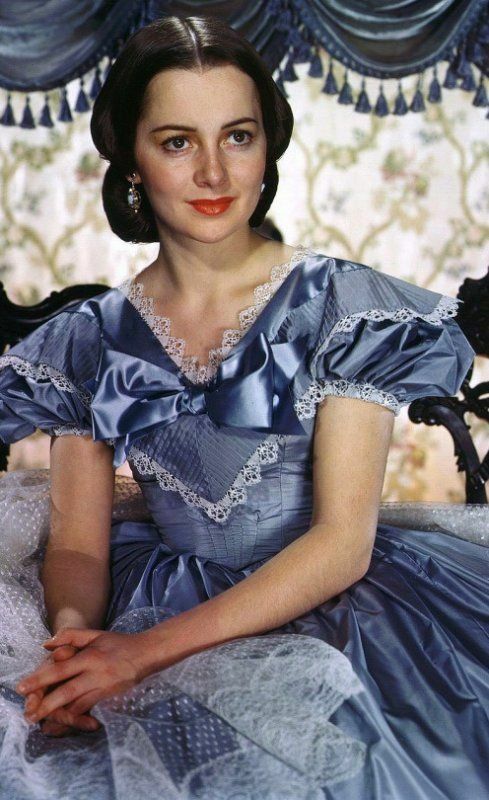 First up is best picture winner Gigi (1958) at 8 p.m. followed by Joan Blondell, Ruby Keeler, Ginger Rogers, and Aline MacMahon looking for rich husbands in best sound nominee Gold Diggers of 1933 at 10:15 p.m.
Late Night Pick: Gone with the Wind (1939) at midnight won a total of eight Oscars, including best picture, best director for Victor Fleming, and best actress for Vivien Leigh. 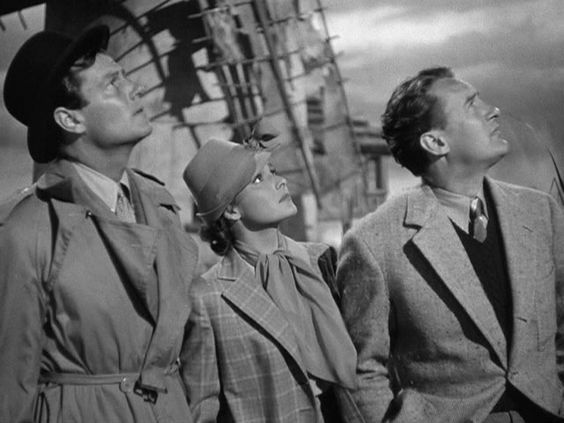 Three daytime picks: Start off your day with the joyous musical Good News (1947) at 6:30 a.m., which featured best original song nominee, "Pass the Peace Pipe," followed by Robert Donat's Oscar-winning performance in the sentimental drama Goodbye, Mr. Chips (1939) at 10:15 a.m. The racing drama Grand Prix (1966) at 4:45 p.m. won three technical Oscars. Prime time lineup: The prime time lineup has two 1940 Oscar winners. 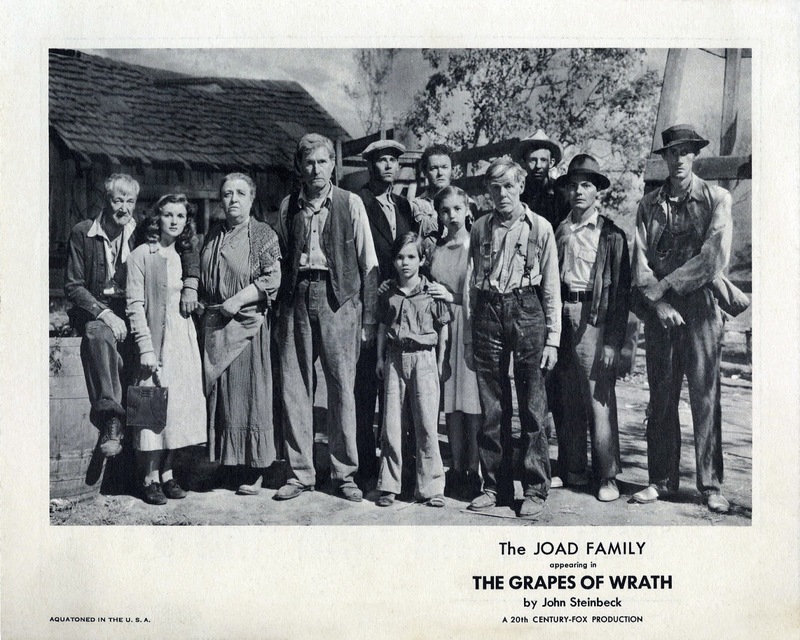 The Great Depression drama The Grapes of Wrath (1940) at 8 p.m. won Oscars for director John Ford and actress Jane Darwell while writer-director Preston Sturges took home an award for best original screenplay for the political satire The Great McGinty at 10:30 p.m.
Late night pick: Luise Rainer won her first of two back-to-back Oscars for playing the first wife of Broadway impresario Florenz Ziegfeld in The Great Ziegfeld (1936) at 4 a.m.
James Stewart and his best friend in Harvey (1950). Three daytime picks: The G's continue with Katharine Hepburn's Oscar-winning performance as a liberal mother who must confront her own prejudices in Guess Who's Coming to Dinner (1967) at 8:30 a.m. followed by Burt Lancaster and Kirk Douglas battling it out in the old West in best editing and best sound nominee Gunfight at the O.K. Corral (1957) at 10:30 a.m. Start out the H's with best original screenplay nominee Hail the Conquering Hero (1944) at 6 p.m. about a young man (Eddie Bracken) who poses as a World War II hero. Prime time lineup: Director Woody Allen's comedy-drama Hannah and Her Sisters (1986) at 8 p.m. won Oscars for stars Michael Caine and Dianne Wiest followed by The Beatles in best original screenplay and best score nominee A Hard Day's Night (1964) at 10 p.m.
Late night pick: James Stewart earned a best actor nomination for playing a man whose best friend is 6-foot-tall rabbit in Harvey (1950) at 11:45 p.m.
Olivia de Havilland as Catherine Sloper in The Heiress (1949). 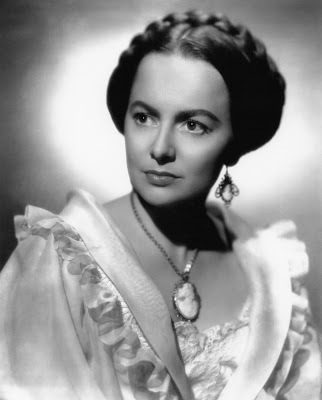 Three daytime picks: Start off the day with two of Olivia de Havilland's best performances. She won her second Academy Award for playing a shy wealthy woman who is romanced by Montgomery Clift in The Heiress (1949) at 8:30 a.m. followed by her Oscar-nominated performance as a shy schoolteacher who is romanced by Charles Boyer in Hold Back the Dawn (1941) at 12:30 p.m. The epic Western, How the West Was Won (1962) at 5 p.m. won best original screenplay, best sound, and best film editing. Primetime lineup: The prime time line up starts out with Marilyn Monroe, Lauren Bacall, and Betty Grable in the stunning outfits of best costume nominee How to Marry a Millionaire (1953) at 8 p.m. followed by one of Charles Laughton's great performances in best sound and best score nominee The Hunchback of Notre Dame (1939) at 9:45 p.m.
Late night pick: Irene Dunne earned a best actress nomination for her role as the matriarch of a Norwegian immigrant family in I Remember Mama (1948) at 1:15 a.m.
"Autres temps, autres moeurs" comes to mind with "Gone With the Wind" and "Gigi". Some wine does not age well, and these two are turning into vinegar as more time goes by. On the other hand, "Gaslight", is worthy of more attention. George Orwell once wrote "All art is propaganda, but not all propaganda is art". In "Gaslight" we have Ingrid Bergman (personifying 1940s Modern Europe? }, being driven insane by her mesmerizing husband Charles Boyer (Adolf H.?). It comes to light that Boyer has a strange connection to the murder of Bergman's mother 20 years earlier (the death of Old Europe at the hands of Kaiser Wilhelm?). But an Anglo/American Alliance personified by Joseph Cotten, a Scotland Yard detective with an American accent, comes to the rescue. 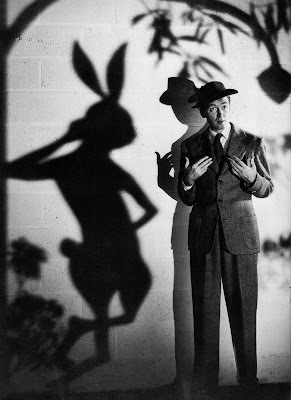 As for "Harvey"--- James Stewart's greatest performance. George Bailey meets Elwood P. Dowd.